Happy New Month and I wish you the very best this March as we approach a new season. Spring is right around the corner and I feel a sense of excitement in anticipation of warm sunny days. Khaki with a nod to any military style is a trend to look out for this spring. 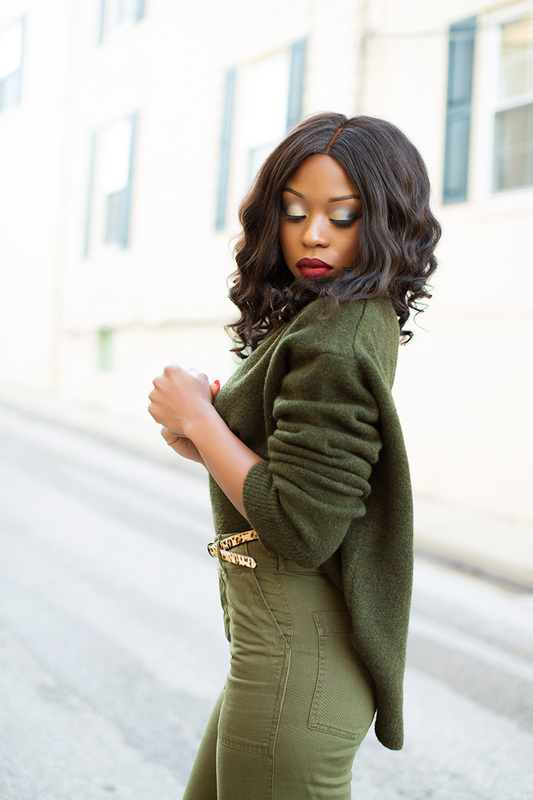 The green tones are my current favorite and I look forward to styling more khaki tones. 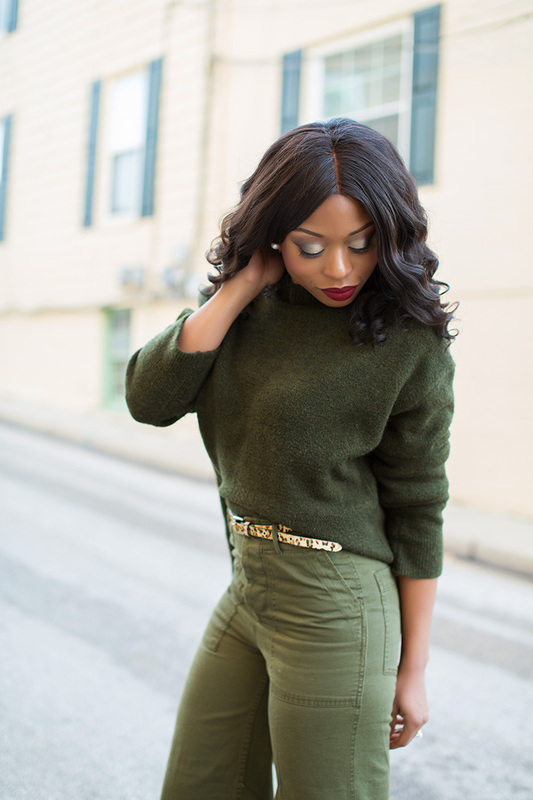 I wore this green sweater (here) and paired with jeans for a monochromatic look. For this post, I completed the look with a leopard print belt and pumps. Rocking the khaki green! Love your make up here too!